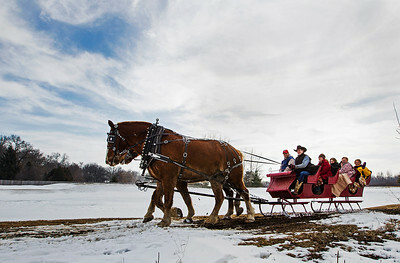 Josh Walsh of Harvard trims the hooves of Sierra the Belgian draft horses at Go Sleigh Countryside Sleigh Rides Saturday, Feb. 7, 2015 in Harvard. 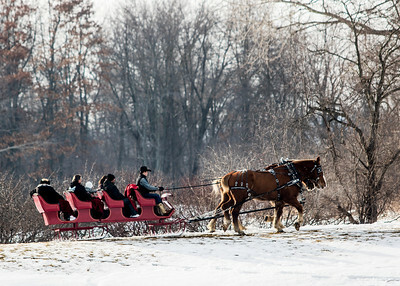 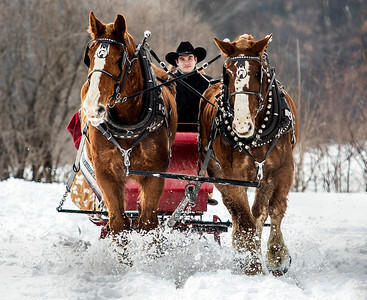 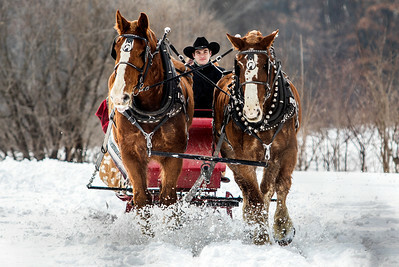 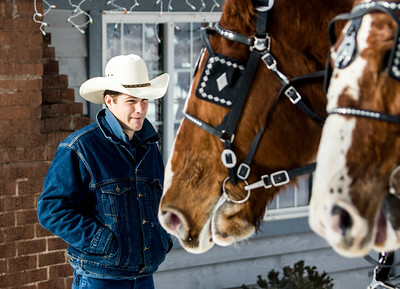 The sleigh rides are pulled by Belgian draft horses through the scenic Harvard countryside. 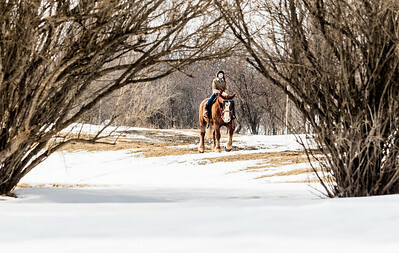 The family-run business has been operated by the Walsh family for the last five years, and each half-hour ride requires reservation.